President’s declaration does not negate so-called Palestinian claims in holy city. Trump tells PLO he still is committed to “peace” talks to pressure tiny Israel into giving up land to terrorists. The most important question ahead of US President Donald Trump’s landmark speech on Wednesday recognizing Jerusalem as the capital of Israel was what exactly — or, rather, where exactly — he would mean when he said “Jerusalem.” Would he specify “West Jerusalem?” No great achievement for Israel in that; even the Russians have done so. Would he speak of a “united Jerusalem” or a “unified Jerusalem,” as most of the Israeli leadership would wish? Or would he be constructively vague? In fact, he found a fourth option. He declared America’s recognition of Jerusalem while subtly but clearly indicating that, for now, he was speaking about the ostensibly non-disputed Israeli areas of the city. Some might argue that Trump was recognizing Israeli sovereignty throughout the city when he declared that “Jerusalem is today, and must remain, a place where Jews pray at the Western Wall, where Christians walk the Stations of the Cross and where Muslims worship at Al-Aqsa Mosque.” But he was clear about this. His speech included a call to maintain the status quo at Jerusalem’s holy sites, including the Temple Mount, which he also carefully referred to as Haram al-Sharif. And he explicitly stated that his announcement did not commit the US to a position “on any final status issues, including the specific boundaries of the Israeli sovereignty in Jerusalem.” Those matters would have to be determined in negotiations. 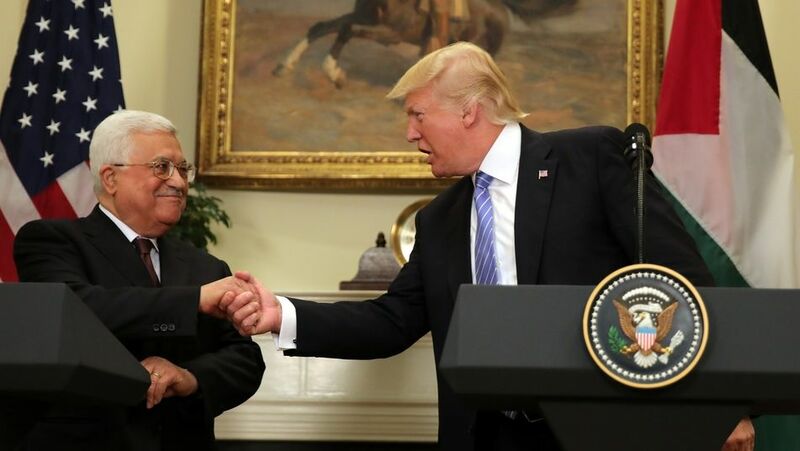 The White House is telling us that Trump reaffirmed his commitment to peace talks in the calls he made today to President Abbas, King Abdullah and President El-Sisi. I’m beginning to think this is just lip service because once he makes the announcement tomorrow that the United States recognizes Jerusalem as the capital of Israel, that’s gonna blow up any notion of peace talks. Which is fine because the are just a facade anyway. They need to be blown up. Now I won’t go as far to say as recognizing Jerusalem as the capital of Israel and having peace talks are mutually exclusive, but they might as well be. I just don’t see how the Palestinians would ever trust Trump after this. Again, totally fine with me as that’s the way it should be. So unless Trump backs down from this announcement tomorrow, I’m not going to hyperventilate over this acknowledgement by the White House. In related new, the US Consulate General in Jerusalem just restricted travel to Jerusalem. So the whole recognize Jerusalem thing is only to give false hope to his base as a publicity stunt. Trump is still pressuring Israel to commit national suicide and cave in to Muslim terrorism.